Nissan’s performance arm is more like a badly kept secret outside of Japan than a performance range of existing models like the M Division for BMW. 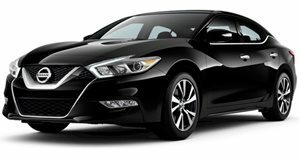 Unlike BMW’s M division, if you search for Nismo you’ll find a lot of American dealers feeling they have to explain what a Nismo-badged car is to the general public. 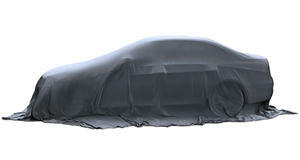 But, scratch the surface of car culture and people know a Nissan model with a Nismo badge means there’s something special going on underneath. Although Nissan has been involved in motorsport since the 1960s, it wasn’t until 1984 that Nissan decided it should merge its two motorsports divisions into one. The unwieldily named Public Division 3 was originally responsible for looking after privateer teams, while the Special Car Testing Division was in charge of the factory racing teams before they were both rolled into Nissan Motorsport and given the easier to manage abbreviation of Nismo. In 1986 Nissan debuted at the 24 Hours of Le Mans, starting a long line of Nismo-prepared GT and prototype cars competing in world endurance racing. Nissan then introduced the Nissan Saurus (Also known as Zaurus) at the 1987 Tokyo Motor Show. The radical two-seater roadster with a turbocharged 2.0-liter engine was never meant for production. However, a single-seat race version with a metal tubbed chassis and fiberglass body was developed by Nismo for the one-make series Saurus Cup race series and was also used for the Nissan Racing School. The successor, the Nissan Saurus Jr, is still used to teach people to race today. Nismo would later keep up the spirit of spec racing with the establishment of the March Cup based on the small Nissan March hatchback, . Nismo got hold of the iconic Nissan Skyline in 1990 and went onto claim 29 victories from 29 starts in domestic racing, winning the Japanese GT Championship in Group A four years in a row. It’s actually hard to overstate just how much the GT-R R32 dominated the track, but someone did manage to hit the nail on the head with a nickname. Australia was the first export market for the Skyline GT-R and after winning the Australian Touring Car Championship through 1990-93, a local journalist dubbed the car after the fearsome Japanese B-Movie monster. A Nismo badged GT-R R32 found its way into select markets for homologation before the R33 version showed up and became the first production car to lap the Nürburgring’s Nordschleife in under 8 minutes to put it front and center on the world stage. The Nismo special edition made 400 horsepower through a beefed up engine and bigger turbos, but it was the 1994 R34 that introduced Victory Specification, or V-Spec, along with the name Z-tune, that stole the headlines to create a road going race car for the ultimate enthusiast. Only 20 cars were made, and featured a lot of carbon fiber to keep the weight down, and hand-built twin-turbocharged 2.8-liter six-cylinder engines that had 500 horsepower and the same torque as a Lamborghini Huracan. Worldwide awareness of the Nismo name was growing in the 1990s as the R32 won the Spa 24 hours in 1991, the R33 Nismo GT-R LM took 10th at Le Mans in 1995, and then one R390 GT1 pushed into 3rd at Le Mans in 1998 while every other R390 finished in the top ten behind it. Meanwhile, back in Japan, Nismo was campaigning hard in the GT Championships and in 1999 and 2003 claimed both the driver and team titles. Nismo was also heavily invested in Supertouring championships around the world and had a major success by winning the 1999 British Touring Car Championship with, of all things, the Nissan Primera race car. However, that wasn't the real landmark for Nismo in the western world. Despite the base GT-R not being available in the US, both the GT-R and Nismo legends grew in the western world when versions appeared in the PlayStation video game Gran Turismo. Suddenly, anyone with a Playstation that liked racing games learned about the GT-R and Nismo. In 2004, Nismo entered the Dakar Rally with a Nissan RAID Truck with the British rally legend Colin McRae behind the wheel. The team didn’t win, but McRae put in a convincing drive and claimed two stages as his own. Also In 2004, Nismo debuted the Fairlady Z (350Z in America and Europe) and won the first race of the Japan Super GT series before going on to take both the driver and team championship titles and then the team win for the 2005 series. 2008 saw the global launch of the R35 GT-R and by this time Nissan had dropped the Skyline name. After the Dakar Rally, Nismo shied away from world level motorsport until the announcement in 2010 that Nissan would be going into the newly expanded FIA GT1 World Championship. In 2008, Nismo developed a GT1 spec car based on the new GT-R and in 2010 sent four GT-Rs to two teams based in Europe that went into action with immediate success in the UK. , it steadily made its way up the tables and in 2011 took the FIA GT1 World Championship title. Meanwhile, Nismo LM P2 spec cars won the Intercontinental Le Mans Cup and competed hard in FIA World Endurance Championship racing. The FIA GT3 series then gave birth to the that went to market in 2012 and still competes in the Blancpain Endurance Series. Nissan was involved in the LMP1 category of FIA World Endurance Championship racing, using the Nismo GT-R LM, but that ended in 2016. You can’t buy it, but Nismo also showed off the in 2011 which looks better as a race car than a Leaf deserves and delivered 322 hp and 472 lb-ft to all four wheels. RC stands for Race Car, but there’s nowhere for them to race. It did get an update and Nissan in preparation for its entry as the first Japanese automaker in the all-electric Formula E racing championship. Over the decades, Nismo hasn’t been pushing out tuned versions of Nissan cars like the racing arms of other companies. 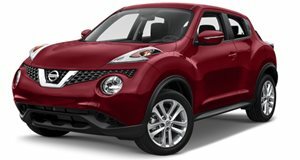 Nismo tuned cars tend to be very exclusive, but while the Juke was still alive there was . 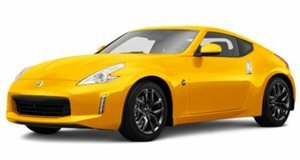 The 370Z Nismo has been around since 2009 as a simple but urgent version of the 370Z with excellent extra aero and value for money. 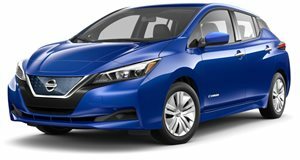 , and the rumors of a reboot aren’t helped by Nissan remaining tight-lipped on the subject. 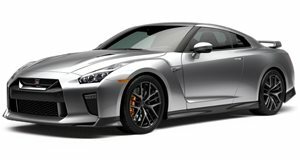 The current Nismo GT-R is starting to show its age, but it despite comparisons in price to the current Porsche 911 and the Corvette ZR-1. Currently, the Nismo GT-R has 600 hp and 481 lb-ft of torque and the electronically controlled all-wheel-drive system is still hard to beat. The world is waiting for new models and to see what Nismo will do with them though.